So this weekend we are going to my boyfriends, best friends wedding where he is the best man. The dreaded best man speech has been the main topic over the last two weeks, I do not envy him at all. 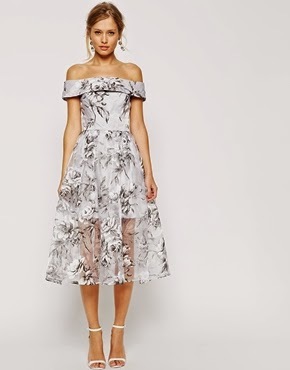 Currently, we are trying to save up for our own flat so I put outfit shopping to the back of my mind telling myself I would wear a dress that I already had. Who am I kidding?! No girl wants to wear the same outfit again! Especially as I only wore the dress I had in mind in September. Thus came the obsessive online window shopping. Thus, equalling in my ASOS Saved Items filling with a wish list of what I actually to wear. So, I came to a compromise. 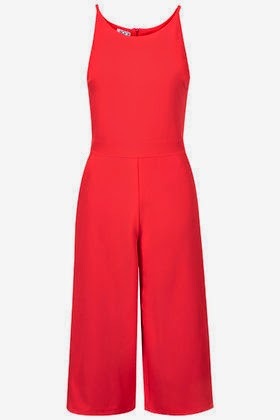 A value for money jumpsuit from Topshop. A key piece for my spring/summer wardrobe with it's culotte cut. A simple item that can be dressed up for the wedding and down for after. Meaning that I will sure wear after the wedding too. I have sent it to store, so let's just hope it fits and looks good - otherwise I will just have to trawl the Oxford Street store till I find something else! But the plan is that I will slip it on and it will fit perfectly, then I will skip to the accessories department to find a good ol' statement necklace to give the outfit that little extra dressy weddingness. However, if I wasn't having to save money and wasn't being so strict with myself here are a couple of other pieces that would have worked their way into my basket.